Last Article I discussed New Historicism/Cultural Materialism. Louis A. Montrose in “Professing the Renaissance,” has described the New Historicism as the “poetics and politics of culture,” and shown how this quickly leads to questions of political power and its effects on literature and art. 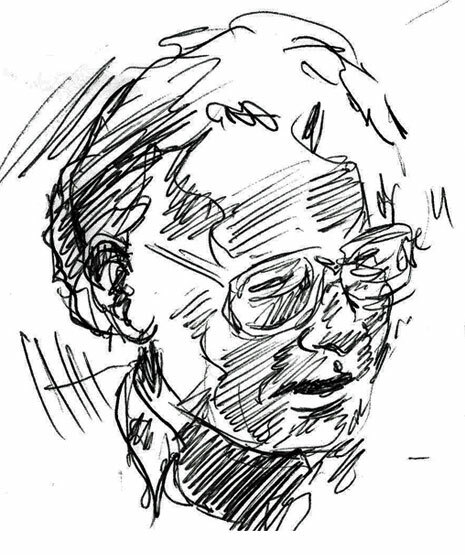 1 The Marxist Fredric Jameson is the theorist most rigorously analyzing the political aspects of culture, and he has originated an especially astute form of dialectical criticism, thus we move on to him, and his influence on my theory of central trope. Jameson attempts to view the individual, whether author or reader, within a larger context, particularly within social structures, while keeping an eye on the present and his own ideological position. Jameson has suggested that positions taken in postmodernism “can be shown to articulate visions of history, in which the evaluation of the social moment in which we live today is the object of an essentially political affirmation or repudiation.”2 According to Jameson, perceivers as well as creators of art works are clearly subjective, even fragmented and suppressed. Nevertheless, works of art and literature express the alienated condition of our time and yet also compensate for certain aspects of this loss through alternative offerings of fullness. This can be interpolated to be true of reception and interpretation as well. It is impossible to completely step outside the fact of our subjective perception, but works of art can assist us in rupturing the casings which continuously threaten to surround us—formed from the incrustations of our unquestioned assumptions. This action can bring about a widening of our subjective experience, an idea which meshes well with the philosophical theory of interpretation of Hans-Georg Gadamer, which I have already discussed (link). It is also the aspect of Jameson’s theories which I find most fecund. Jameson has a strong sense of the urgency of concrete experience, however subjectively encountered it must always be. The form of literary works is always profoundly intertwined with the tangible. What is important is what a technique or structure can or cannot do, as engaged with the dominant cultural imperatives of its time and place. This is a fine observation that can be applied to visual art, especially painting, and the formation of individual tropes. The strength of a trope resides in what it can say or not say about lived experience. I agree with Jameson that reality is more than just a text. I feel his insight can be used to clarify one aspect of the confrontational interaction between artworks—the “text”— and subjective, yet not solipsistic, perceptions of palpable reality. As I studied Jameson’s works, although I am inherently anti-formalist, I began to see that the concrete formal qualities of an artwork could be the site at which this clash transforms itself into a testing—in the service of meaning, that is of usefulness. Furthermore, the playfulness of a new trope helps rupture encrusted thought, and when it is broadly applied, supplies an example of a possible new fullness. Jameson finds his ideas true of our understanding of narratives in general, as well as of the creation and formal presence of literature. Stories require interpretations and often our experiences are present in our mind as stories. Interpretation is thus one of our chief activities in life. Works of visual art likewise bring this to the fore by being necessarily open to various levels of reading, of construal. For Jameson, each interpretation is in some way true. Each explanation discloses a particular feature of the aesthetic object while evidencing a characteristic of society. I would add that it also reveals an attitude of acceptance, denial, or resistance to given interpretations. In my theory of Metaphor(m), I attempt to describe how the elements of creative form in artworks are intertwined with material reality, as maintained by Jameson. (Metaphor(m), described in short: Link ). Louis A. Montrose, “Professing the Renaissance: The Poetics and Politics of Culture,” in The New Historicism, ed. H. Aram Veeser (New York: Routledge, 1989), pp. 15-36. Frederic Jameson, “The Politics of Theory: Ideological Positions in The Postmodernism Debate,” in Modern Criticism and Theory: A Reader, ed. David Lodge (London: Longman, 1988), p. 373.